Today, the 30th anniversary of John Lennon's murder, I mourn him as do millions of fans the world over. Though I was very young when he was shot and my memory is fuzzy, I remember my parents giving me the shocking news. More than what was said, I recall images and emotions: I pictured Lennon being gunned down in front of his apartment on that dark, cold night. I felt confused, sad and angry, and I asked my parents to explain the inexplicable: why. Music was as revered in my family as food and education, and my relatives -- whose record collections were staggering -- exposed me to a range of genres. My grandparents and their siblings appreciated classical and opera; my dad loved rock and roll and the blues; and my mom was partial to jazz and reggae. They took me to the opera and the symphony; to music appreciation society meetings; and to festivals and concerts (some of which they organized). I even met Stevie Ray Vaughan once, at a blues festival where he recorded a promo for my dad's weekly radio program, "Blues People." I loved all of the music I was exposed to -- still do -- but The Beatles were my favorite. As a child I listened to them for hours while I played with my toys, singing along to the tinny tracks warbling from the Panasonic cassette player I carried everywhere. 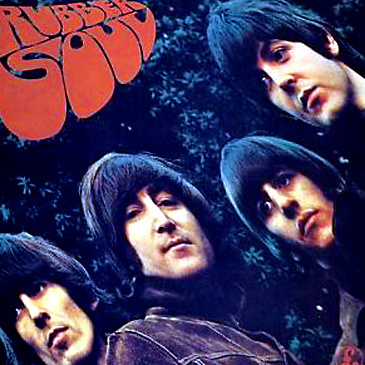 Rubber Soul was my favorite Beatles album (probably in part because my dad had nicknamed me Rubber Belly Tomato Seed), and Michelle was my favorite song. Alhough Paul McCartney sings vocals on the track, today I'm listening to it and remembering Lennon and my dear, departed family members. Especially my mom, who would tirelessly translate the French lyrics for me over and over again (which was silly when you think about it). We reminisced about this during her final days; I treasure that conversation and the intimacy of it. They're no longer with us, but the music they wrote, performed and loved is. And I'm forever grateful for it and them. It is cool the way that to this day, on any given day in the summer, you can find an ad hoc Beatles sing along at Strawberry Fields in CP. Lenon changed the world, for sure.